This week saw the opening of Australian family film Red Dog. 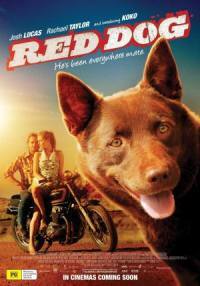 Based on the 2002 novel by Louis de Bernières, the movie tells the real-life story of a Kelpie/cattle dog cross who travelled throughout the Pilbara region of Western Australia in the 1970s. Reviews of the film have been positive, and at present it has an 85% rating on rottentomatoes.com.